The line between intertext and plagiarism is a witchy, winding road. Where one ends and the other begins is inherently confused and cluttered, pockmarked with varying degrees of interpretation and ensuing condemnation. Music presents a most difficult testing ground when seeking to clarify a distinction between theft and inspiration. To mark clearly the blurred, skewed and dimly lit border of ownership and originality is near impossible. With this in mind, ladies and gentleman, I give you: Donovan. 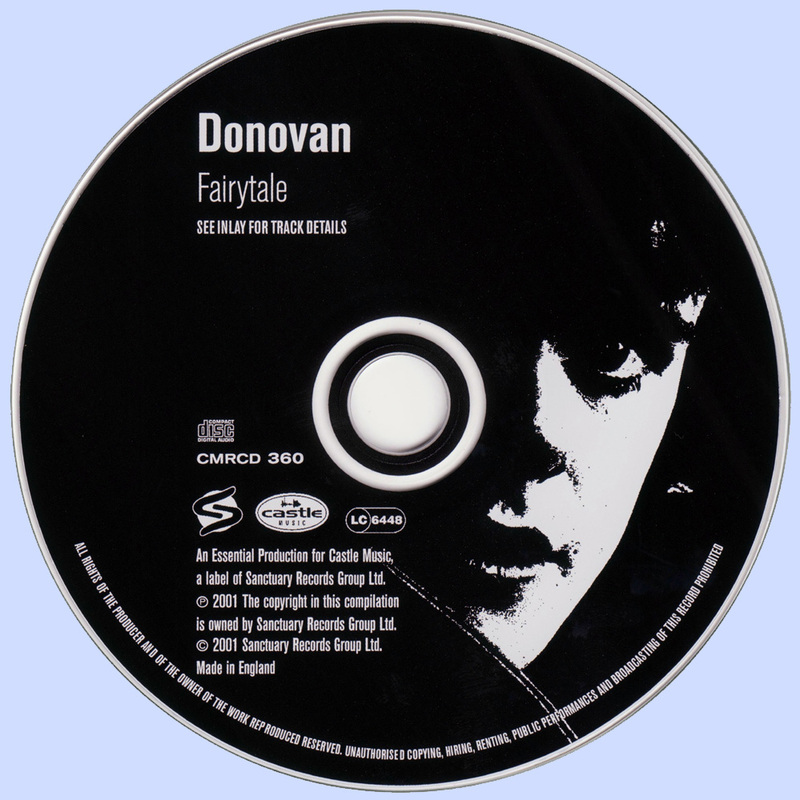 What’s Bin Did and What’s Bin Hid or Catch the Wind (depending on where you hail from) is the 1965 debut album of British folk singer Donovan. Light on the ears and entirely enjoyable, I’m not actually going to say all that much about the album, except that there is something familiar about it... instantly familiar, and it is precisely this familiarity that has made the album as infamous as it is famous. Heralded by many denouncers as the key piece of evidence in dubbing Donovan as nothing more than "Britain’s answer to Bob Dylan", a cheap knock off or folk music’s incarnation of The Monkeys; endless interrogation has left the album scarred and the artist - branded by many Dylan fans - a charlatan. I get that branding... 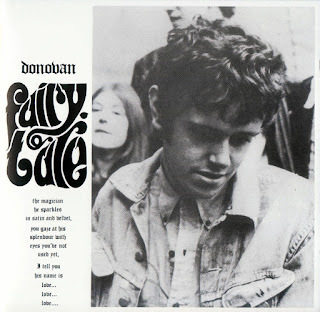 I really do, but I feel that there is more to Donovan and less to the comparison than those at the pulpit of musical conspiracy would have you believe. Much of the hype that fuels such detraction is based on Bob Dylan’s 1965 tour of Britain, and the subsequent documentation of that tour contained in D.A Pennebaker’s film, Don't Look Back. The film helps to highlight the obsession in the British press for creating trans-Atlantic music rivalries, like that of Dylan and Donovan or The Byrds and The Beatles. Donovan, in an odd twist of fate, actually came to the defence of The Byrds after NME trashed their London shows because they supposedly didn't live up to the manufactured hype of being "America’s answer to the Beatles". What makes it into Pennebaker’s film, besides Dylan light heartedly mocking the press’s obsession with Donovan, is their first meeting at The Savoy Hotel. The atmosphere that the film conjures is hard to pinpoint, but seems to be one of mutual regard, between a visibly nervous Donovan and a characteristically distracted and hard to read Dylan. Donovan plays 'To Sing for You' before Dylan responds with a stirring rendition of "It's All Over Now, Baby Blue". Pennebaker insists the broader scene involved Dylan condemning an unknown Donovan song called "My Darling Tangerine Eyes" for blatantly plagiarising his "Mr Tambourine Man" chord structure, saying, "Well, you know, that tune... I have to admit that I haven't written all the tunes I'm credited with, but that happens to be one that I did write!" What makes the assertion by Pennebaker so interesting is the fact that Dylan refused to allow this scene to be included in the final cut of the film. If the embarrassment of Donovan by Dylan did occur, perhaps Dylan didn’t want the world to see it. There is a barely audible moment in the film that might explain why, and possibly why What’s Bin Did and What’s Bin Hid has so many moments of structural similarity to Dylan's work: as Donovan begins strumming the guitar, Dylan excitedly remarks, ‘He plays like Jack, man!’ referring almost certainly to the great Ramblin' Jack Elliot. Ramblin’ Jack is worthy of more space than I’m going to allow him in this brief synopsis, but his part in Donovan’s story is worth mentioning, if only briefly. Ramblin' Jack is inexorably linked to Woody Guthrie, a hero of Dylan’s and an icon in folk music, who has only really ever been eclipsed by Dylan himself. Ramblin' Jack was a student come friend of Guthrie’s and became a master of his songs and playing style. He is said to have later taught an Englishman that fingerpicking style while performing in Paris in the early 1960's. That Englishman’s name: Mick Softley. Softley then met Donovan after returning to the UK and, while working together, Donovan acquired a new style of picking in order to perform a song by Softley called: "Gold Watch Blues". So, Donovan learned his style from a student of Ramblin’ Jack, who was first a student of Guthrie’s, who was Dylan’s hero. Inspiration rather than direct imitation seems a bit more tangible regarding Donovan’s work when armed with these facts. With all this in mind, the fact remains that What’s Bin Did and What’s Bin Hid is incredibly reminiscent of Dylan’s work and the structure of some of his tracks; however, this doesn’t condemn it to be labelled a knock-off. Just as some of Dylan’s early work is reminiscent of Guthrie’s, so is Donovan's of Dylan's. "Catch the Wind" no more plagiarises "Chimes of Freedom" than "Bear Mountain Picnic" does Guthrie’s "Talking Sailor" - inspired no doubt, but more than able to hold their own as unique tracks. For those who still aren’t convinced, Donovan's later work digresses into a musical realm all its own, blending a uniquely eclectic psychedelic fusion - and pairing with some artists that went on to create a little known band called The New Yardbirds - but that's for a later article. For now I'd throw on What’s Bin Did and What’s Bin Hid and revel in the work of a man who, in a back room of London’s Savoy Hotel, got Bob Dylan to say: "Hey - that’s a good song, man!"